On Tuesday, April 9, 2019, Lagos State Governor, Akinwunmi Ambode inaugurated a 20-man Transition Committee, ahead of the May 29, 2019 Governorship Inauguration Ceremony of his successor, Mr. Babajide Sanwo-Olu and charged them with clearly defined mandates. The committee is saddled with, among other things, the onerous responsibility for ensuring a smooth transition of power from the out-going administration to the incoming one- to be led by Governor-elect, Sanwo-Olu. This inauguration of a 20-man Transition Committee by the Lagos State Government may have stoked the debate in some quarters questioning the propriety of the actions of the Imo State Governor-elect, Rt. Hon. Emeka Ihedioha in inaugurating a 139-member Transition Technical Committee. While the debated raged, the former Deputy Speaker of the House of Representatives, not done yet, went a step further. 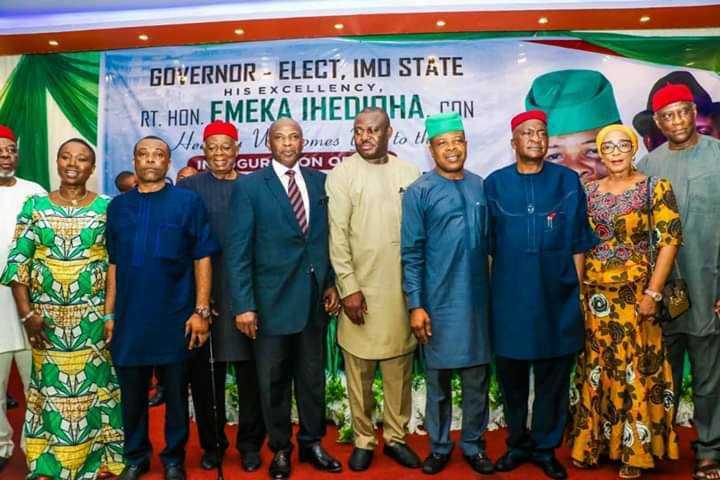 On the same Tuesday, April 9, (just like in Lagos), Governor-elect Ihedioha swore in the Governorship Inauguration Committee, which initial list included about two hundred and eighty seven names; before a supplementary list took the total membership to a princely three hundred-or-so names. All in the course of one inauguration, the naysayers argued! After reading the message, I took my phone and called her. She cited the example of Lagos, where a 20-man Transition Committee seemed just sufficient. At the end of our telephone conversation, which lasted for about an hour, she came to properly understand and appreciate the issues at stake, and had a change of mind. In fact, she apologized for her initial outburst. Where am I going with this narrative? Is it right to compare the Lagos State situation with that of Imo, where an administration led by the All Progressives Congress-APC is handing over to another APC administration? Are our circumstances the same? Is the situation in Lagos the same as Imo State? What really is the yardstick for measuring that? It would be most naive, even misleading to attempt to compare Ambode’s 20-man Transition Committee with that of Imo, since every state has its own peculiarities, and some would say, ‘private demons’. An analysis of the address delivered by the Governor-elect, Rt. Hon. Emeka Ihedioha during the inauguration of the Transition Technical Committee shows clearly that he knows the direction he is going. “In constituting this transition committee, we were very careful and deliberate. We have selected from among the brightest and the best of our people in different fields of human endeavour. I know every single person in this room, if not personally, at least by reputation and I feel delighted that you decided to answer our call. It is even more humbling to note that every individual we invited for this defining state assignment responded delightfully in the affirmative. For a man that is about to take over a State ruled and despoiled for eight straight years in the most irresponsible manner, Ihedioha understands that there are no easy solutions; he is therefore not under any illusion that he has been invited to a tea party. Imo as at today has a demoralized work force (civil/public service); has no due process in place; no independent legislature or judiciary; is hobbled with the baggage of harassed and battered traditional institutions; the absence of transparency and rule of law in doing government business; crippling public debt, among other frightening challenges. The Transition Technical Committee has already called for memoranda from citizens and stakeholders of the state on situations and developments, and a lot of submissions are already being made. In fact, following the alleged desperate efforts of the incumbent (outgoing administration) in the state to further wreck havoc on the polity, urgent steps have already been taken by the Governor-elect in cautioning the relevant organizations, particularly, financial institutions, against connivance to further worsen the debt overhang of the state. Similar warnings have been issued against indiscriminate last minute mass issuance of Certificates of Occupancy to friends and cronies of the present administration. In any case, has anyone bothered to ask the all important question, “Who are the members of these two committees, and what is their pedigree?” There has never been any time in the history of Imo State that we have had the assemblage of this caliber of intellectuals, with experience and expertise from all walks of life, agreeing to work together for the common good of the state. No doubt, both committees have a long list of people, but, the end they say, justifies the means. Be that as it may, some of the arguments against the committees may yet be valid. For instance, the fact that the youth are not adequately represented in the Transition Committee is obvious. The Governor-elect however addressed this concern at the Inauguration Committee. Again, there have been concerns raised to the effect that the Civil Society component does not have sufficient local content. There may be other concerns. However, there is no perfect Committee or Policy anywhere in the world. Every constituted authority the world over has its gaps, both in policy formulation and implementation. What is important is that there is a deliberate shift from the old order to a new one, where the overall interest of majority of the citizens is put forward. Imo people are not in doubt, as to the ability of the Governor-elect, Rt. Hon. Emeka Ihedioha and his deputy, Rt. Hon. Gerald Irona to deliver on their sacred joint mandate. In fact, they have no reason to fail, unless experience no longer counts in the management of public resources, delivery of public service and capacity to take decisions that will change the fortunes of the state. One of the measures of the success of the incoming administration is the caliber and competence of persons it will appoint to sensitive positions of governance. I was therefore particularly excited, when, recently, he declared that his administration will have zero tolerance for sycophancy. The truth is that, at the center of the failure of successive administrations in Nigeria is sycophancy. Putting round pegs in square holes is a recipe for failure. The incoming administration must be willing to give strategic positions to persons with capacity, experience and determination to deliver on the mandate, and not to incompetent praise singers. The idea is not for the administration not to reward in one way or the other, those who worked for the success of the party at the polls. The point is that there are creative ways of doing so, without obstructing the free flow of governance. Another set of people the administration must watch carefully are the old horses, popularly called godfathers. It is obvious that they are already putting pressure on the Governor-elect and his deputy. They are lobbying for positions for their children, some of whom do not have what it takes to deliver in public service in the Twenty First Century. The moment they are turned down, they will accuse the new administration of so many things, including “showing disrespect to elders”. Rt. Hon. Ihedioha and his Deputy are not new in the game of politics. They certainly have sufficient capacity to handle the situation; to wit: balance political interests with good governance. They must first and foremost, surround themselves with aides that are intellectually sophisticated. The quality of advice they get will certainly determine the kind of decisions they take. Anyone around you that claps for you when you are wrong is not a friend and has no business being close. The only language Imo people will understand henceforth, is good governance. That, alone will satisfy them. The long awaited new dawn has arrived! Walter Duru holds a doctorate degree in Communications. 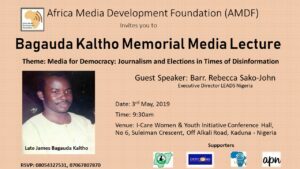 He is a Communications teacher, Public Relations expert and Good Governance advocate. He writes from Owerri and can be reached on: walterchike@gmail.com.